Are You Ready To Take A Hip Hop Look At New York? Throughout the past decade, over 1 MILLION people from all over the world have experienced what it’s like to walk the streets immortalized on iconic hip hop records. VH1 | NBC News | Pix11 | Travel Channel | The New York Times | New York Post | NewsDay | USA Today | MTV | BBC | AP | ABC | 20th Century Fox | The Huffington Post | BET | The Root | MSNBC & more. Hip Hop Tours. Celebrity Guides. Famous Hotspots. More than a sightseeing tour. It’s one official experience! Our tours and experiences are perfect for everyone… from the travel buff, the art and music lover, to the cultural explorer. Book yours now! Sketching on Thursdays and Saturdays - Enjoy a one of a kind graffiti art experience with a local legend of the wall. 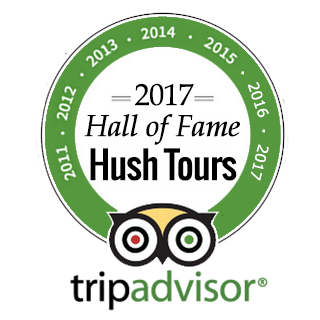 We’ve been voted one of NYC’s top touring experiences. It’s because we dare to be different. Join the VIP List to save up to 10% on your next tour! We can show you better than we can tell you. Our guests truly enjoy themselves on all of our tours and experiences. Click here to get a glimpse of all the fun. We make it our mission to always on point for you. For over 10 years, we’ve received 5 star ratings from our past guests. We can help you think outside the box when planning your next event from start to finish. Click here and let us roll out the red carpet.